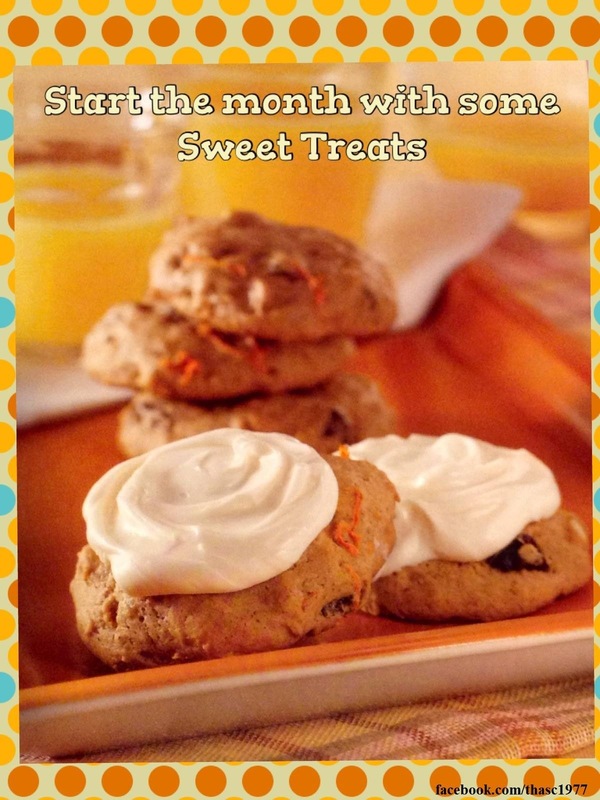 This week’s “Sweet Treat Saturday” features a delicious recipe for Carrot Cake Cookies! 2. Combine cake mix, flour, oil, water and egg in large bowl. Stir in carrots, walnuts and raisins until well blended. Drop dough by rounded tablespoonfuls 2 inches apart onto prepared cookie sheets. 3. Bake 12 minutes or until bottoms are golden brown. Cool on cookie sheets for 2 minutes. Remove to wire racks; cool separately. 4. Spread tops of cookies with frosting before serving. Tested in the THASC kitchen. THASC is a unique American business producing cards and other promotional products. Carrot cake is my favorite. Can’t wait to try these!